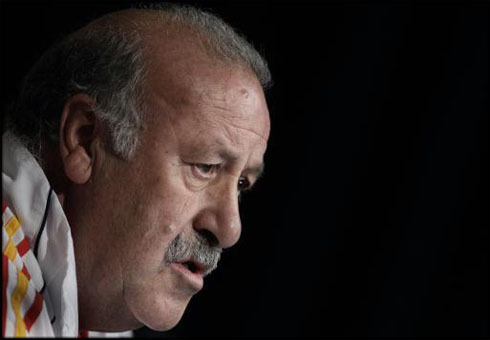 ﻿ Vicente Del Bosque: "There's no one like Cristiano Ronaldo in this sport"
25.06.2012 » Del Bosque: "There's no one like Cristiano Ronaldo in this sport"
The Spanish National Team coach, Vicente del Bosque, is certainly well aware of his own team's strengths and weaknesses. When previewing this Wednesday's EURO 2012 semi-finals between Portugal and Spain, Del Bosque admitted Cristiano Ronaldo will be treated as one of the biggest threats to his side, but he also praised some other Portuguese players. The World will stop next Wednesday, as Portugal and Spain rush to get ready in time for one of those Iberian clashes that promise to stay in everyone's memories for a long time. With such a big game right around the corner, the Spanish National Team coach, Vicente del Bosque, has done a quick analysis on the Portuguese "Selecção" and he didn't save any praise when the time came to talk about Cristiano Ronaldo. In Del Bosque's opinion, you can't simply find any other player with the same raw talent as Ronaldo in this sport and to answer such kind of threat, he's counting on the Spanish side to defend extremely well as a whole. 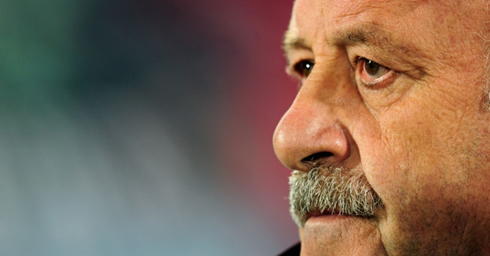 Vicente del Bosque: "This Portuguese Team has a natural counter-attack playing style. They got players such as Nani, João Moutinho and his great passing skills, or Raúl Meireles and his shots... They also have very strong and powerful defenders and both the left and right backs fit very well into what the team needs when they are attacking. Basically, Portugal doesn't need to create many plays, because either from a counter-attack or just some long pass made to Cristiano Ronaldo they find themselves able to create a lot of danger", remarked Del Bosque when granting statements to the "Al Primer Toque" show, at a Spanish radio network called "Onda Cero". Del Bosque: "It's obvious to everyone that Cristiano Ronaldo is unique and there is no one like him in this sport. I would like to see our side stopping Ronaldo with good marking and not letting him play the way he wants. For that to happen, we have to get everyone involved and focused, cutting off open spaces whenever Portugal manages to get the ball on their feet", alerted the Spanish National Team coach, already predicting that Portugal won't have much ball possession on this Wednesday's match. 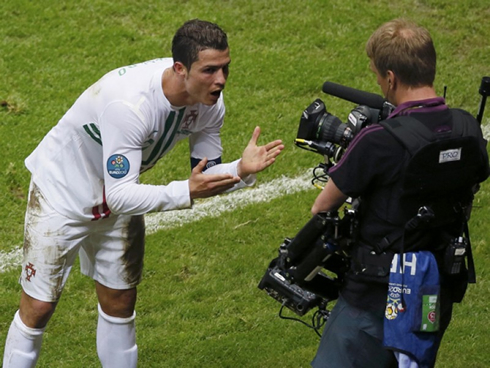 Few seem to believe that Portugal will change their tactics just because they are about to face Spain. The Portuguese Team won't be able to count with Hélder Postiga as he picked up an injury against the Czech Republic, but the most likely to happen is that the man stepping up to fill his gap will be another striker/forward, Hugo Almeida. 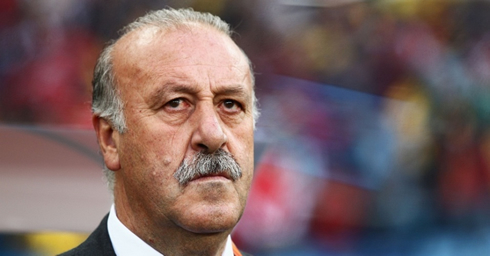 Vicente del Bosque: "I think they'll keep playing in the 4-3-3 tactical sytem we've seen so far. It's true that we've faced several teams who changed the way they were used to play, just to defend differently against us, but I'm not expecting Portugal to do any relevant change in that regard", previewed the Spanish coach. Portugal will look to reach their second European Championship final in their history, while Spain is actually the defending champion. Clearly seen as the underdogs, the Portuguese are staked with 4.50, while Spain only pays close to 1.90. A victory from Portugal this Wednesday will most likely make of Ronaldo the favorite player to win the FIFA Balon d'Or, leaving few chances to Lionel Messi to still fight for it, despite his amazing goal record this season. Moreover, Cristiano Ronaldo is currently tied with Mario Gomez (Germany), Dzagoev (Russia), and Mandzukic (Croatia) as the EURO 2012 top goalscorers, with 3 goals each. Real Madrid's season is now over and there are no games left in their schedule until the pre-seasons starts by July. Cristiano Ronaldo is now with the Portuguese Team at the EURO 2012 and the next game will be against the mighty Spain, in the EURO 2012 semi-finals, next Wednesday (June 27). You can watch Juventus live stream, Portugal vs Spain and Germany vs Italy, all from our football live streams section. 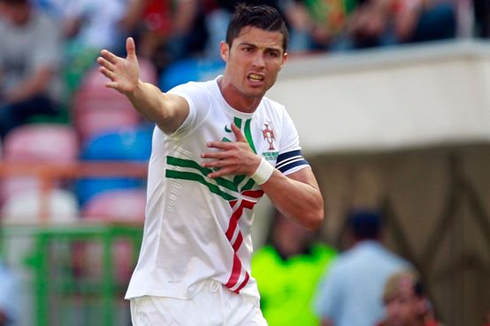 Cristiano Ronaldo will certainly be on the line-up, when Portugal steps up to the pitch, for the EURO 2012 semi-finals.